The social network is taking on LinkedIn and Google Drive, but will it still be NSFW? Checking Facebook at work has long been a hallmark of guilty procrastination and many companies actually ban it altogether. But now the social network is taking on LinkedIn, Google and Microsoft in a bid to go legit in the office. 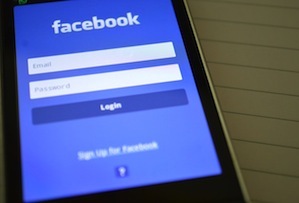 ‘Facebook at Work’ (wonder how they came up with that) will let colleagues chat to each other, connect a la LinkedIn and share and edit documents together like with Google Drive and Microsoft Office products, unnamed sources told the FT. It will look like Facebook, with a newsfeed and groups, but allow users to keep those NSFW photos separate (which will mean people still surreptitiously checking their personal profiles then). The social network’s employees already use it internally and it is currently being tested with companies as a free-to-use product, according to the report. Facebook may have 1.35 billion users logging in every month, two-thirds of those every day, but it will still have some pretty enormous obstacles to overcome if it does want to get this rumoured project off the ground. Firstly, while LinkedIn’s 90 million monthly users make it look like small fry it is undoubtedly the dominant professional social network. And as Facebook well knows, a social network only works if everyone important and relevant is on there. That job will be made harder by privacy concerns. Facebook has felt the heat recently over revelations it had manipulated users’ news feeds without their knowledge for a psychological experiment, as well general Big Brother concerns and intelligence agencies tapping tech giants for user data. Companies will not want staff discussing and sharing sensitive commercial information unless they know the medium is absolutely watertight. Finally, Facebook’s grand plan is clearly to get more people spending time on it, so that they look at and engage with more adverts. Employers, though, will be wary about workers straying onto their personal profiles or being distracted by the latest marketing gimmick, while people may rather keep their home and work lives separate. Facebook may not be able to be all things to all people.